Do you think this was okay for Gillum to do? The co-chair of Emgage, Khurrum Wahid, has an extensive history of defending individuals that the United States government has tied to Islamic terrorism. Walid was the defense attorney for Rafiq Sabir, who was sentenced to a 25-year prison term for conspiring with al-Qaida by providing material support and medical care to injured militants. Hafiz Khan, who was found guilty of conspiracy and providing material support to terrorists by sending $50,000 to the Taliban in order to kill American troops overseas, was also represented by Wahid. And most notably, Wahid defended Ahmed Omar Abu Ali who received a life sentence for joining al-Qaida and plotting to assassinate former President George W. Bush. Gillum has attended and spoken at events hosted by Emgage in the past. 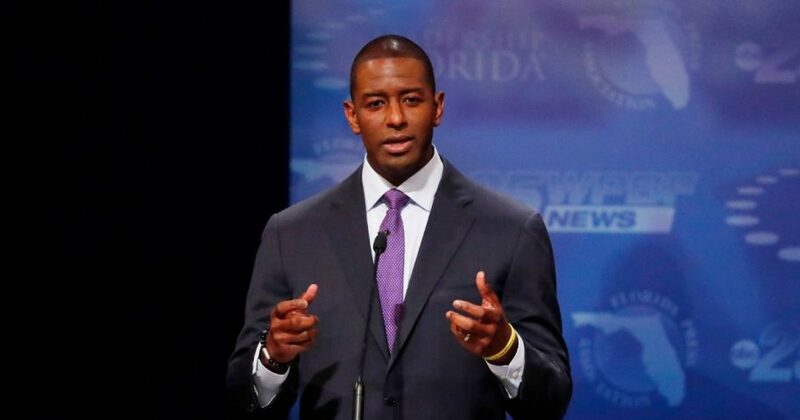 Gillum spoke in 2016 at the annual Muslim Day event, which Emgage organized in partnership with the Hamas-linked Council on American-Islamic Relations. Interestingly, Wahid previously served as CAIR’s legal adviser.